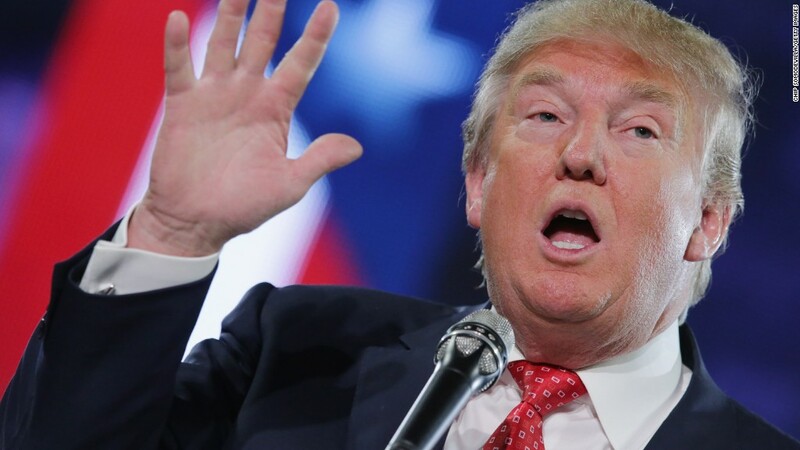 The feud between Donald Trump and Fox News has been building for months and on Thursday night it could reach a breaking point when the presidential candidate skips the network's GOP debate. The relationship between the GOP frontrunner and the cable news network was once a friendly one, but soured after the candidate clashed with Fox News host Megyn Kelly and the network's chairman Roger Ailes. During Fox News' first GOP presidential debate, Kelly pushed Trump on his history of calling women he doesn't like "fat pigs" and "dogs." 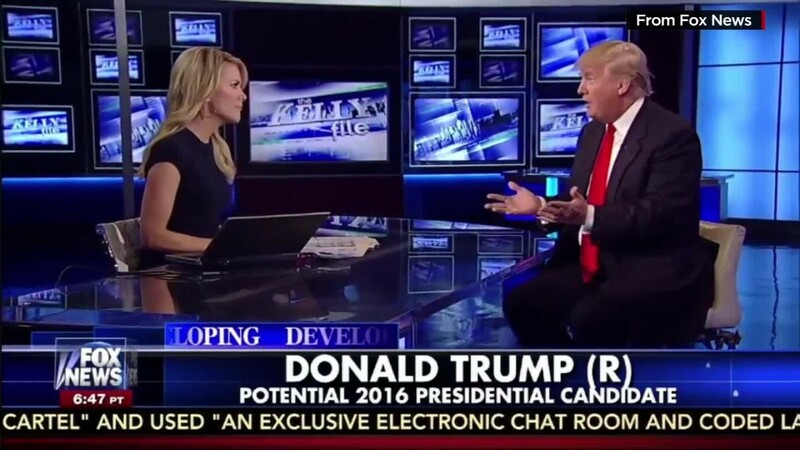 The tough line of questioning led Trump to fire back saying, "Honestly, Megyn, if you don't like it, I'm sorry... I've been very nice to you, although I could probably not be based on the way you have treated me." Trump followed the debate by tweeting through the night about his treatment, retweeting some fans that called Kelly a "bimbo." On Friday night, Trump spoke with "CNN Tonight" saying of Kelly, "You could see there was blood coming out of her eyes. Blood coming out of her... wherever." Trump's remarks were taken by some as a reference to Kelly's menstrual cycle. Kelly defends herself against Trump saying in a taped interview Sunday on Fox that her questioning "wasn't an attack." At the same time, Trump tells CNN's Jake Tapper that only a "sick person" would interpret his blood comments as a reference to Kelly menstruating and that he didn't owe Kelly an apology. Monday, August 10: "Resolve this now... or we can go to war"
Trump tells "Morning Joe" that Kelly should apologize to him. The comments leads to a phone call between Trump and Ailes where Ailes tells Trump they "can resolve this now... or we can go to war." This leads to a truce. Monday, August 24: "She could take another 11 day unscheduled vacation!" Kelly returns to Fox's "The Kelly File" after a vacation. 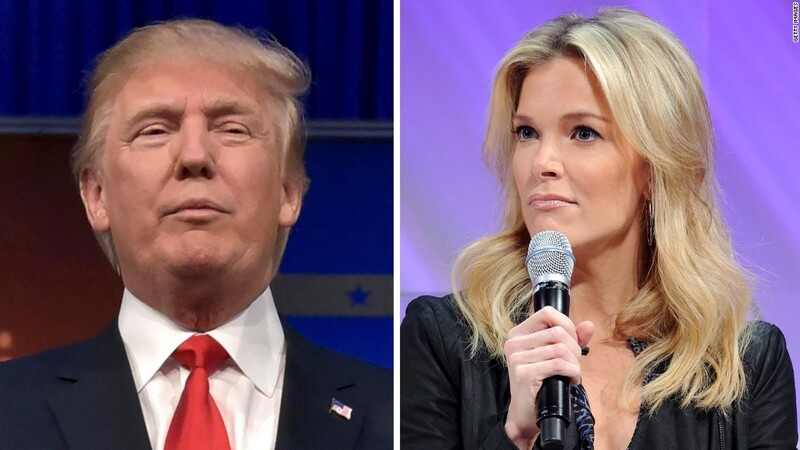 Trump tweets, "I liked The Kelly File much better without @megynkelly. Perhaps she could take another eleven day unscheduled vacation!" Ailes puts out a statement saying that Trump's attack of Kelly was "unprovoked" and "disturbing" adding that Trump "rarely apologizes, but in this case he should." 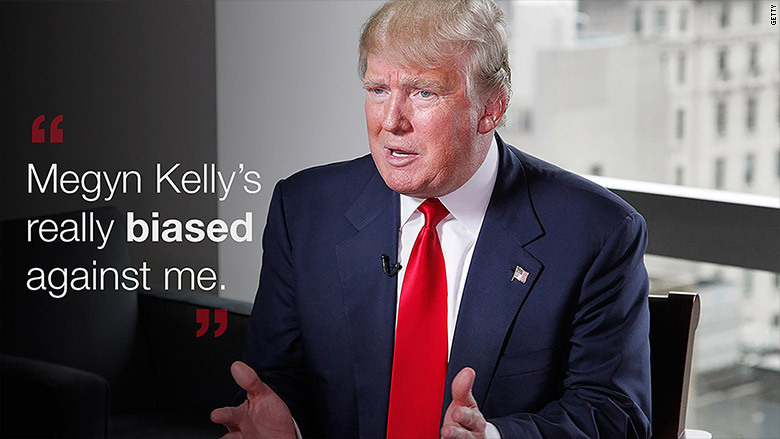 Trump slams Kelly saying in a statement, "I do not think Megyn Kelly is a quality journalist." After two weeks of not appearing on any Fox show -- and not criticizing the network -- Trump returns to be interviewed by O'Reilly. He is a guest on Sean Hannity's show on Wednesday, September 9. Tuesday, September 22: "Trump haters"
Trump tweets "I am having a really hard time watching Fox News" while calling out Fox host Bill O'Reilly for having on "Trump haters." He also resumes his critique of Kelly saying she is "the worst," "anti-Trump," and calling her show "terrible." "@diannrr: @megynkelly Do you dream about @realDonaldTrump? He's in your head. Let it go." She is the worst - all anti-Trump! Terrible show. Trump tweets that Fox News treats him "very unfairly" and that he has decided that he "won't be doing any more Fox shows for the foreseeable future." Fox News responds saying that the network canceled Trump's scheduled appearance on "The O'Reilly Factor" which resulted in Trump's subsequent tweet about the boycott. 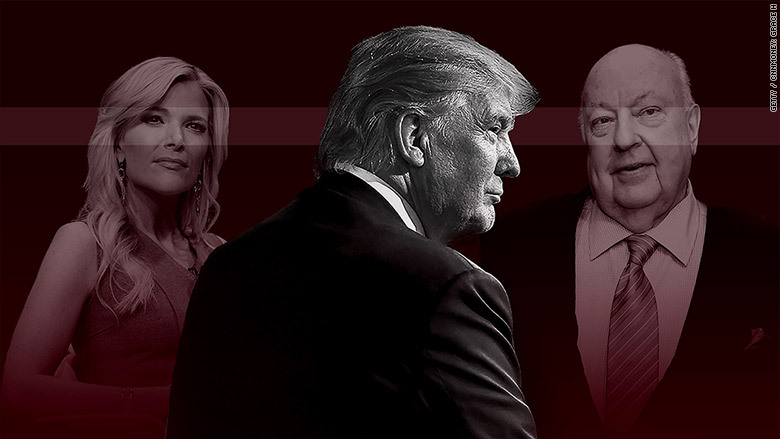 Ailes and Trump speak and plan to have a meeting the following week to "discuss their differences of opinion regarding Fox's coverage of Mr. Trump's presidential campaign." Trump's canceled interview with O'Reilly gets rescheduled for Tuesday, September 29, ending his boycott. Michael Clemente, Fox News' executive vice president of news, says the peace summit between the network and Trump may never happen. "Mr. Trump continues to appear on Fox News and we haven't changed a thing, so we don't see any overwhelming need for a meeting at this time," Clemente said in a statement. After months of peace, Trump says Kelly "should not be allowed" to moderate the upcoming GOP debate claiming her alleged bias against him creates a conflict of interest. Fox balks at the comment saying Kelly has no conflict and that "Donald Trump is just trying to build up the audience for Thursday's debate, for which we thank him." 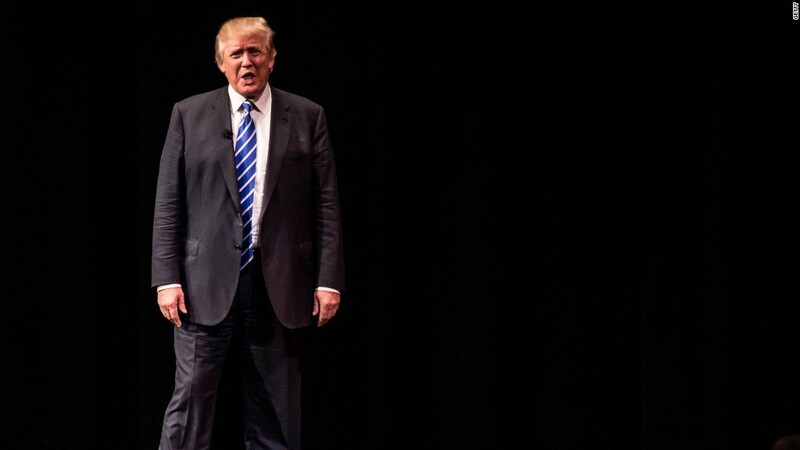 Trump creates a Twitter poll asking "should I do the GOP debate?" and releases an Instagram video saying Kelly is biased against him. The network responds with a tongue-in-cheek statement saying, "We learned from a secret back channel that the Ayatollah and Putin both intend to treat Donald Trump unfairly when they meet with him if he becomes president." Following the statement, Trump announces that he will not only skip Fox's GOP debate on Thursday, but will hold an event in Iowa counter to Fox's telecast. 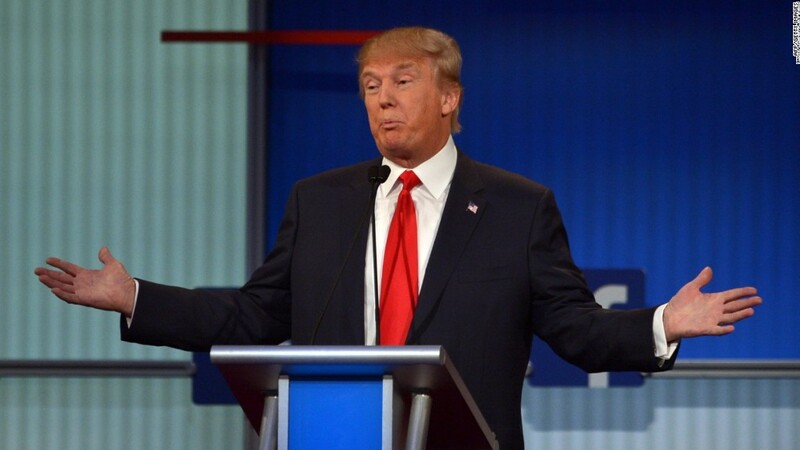 "And Fox will go from probably having 24 million viewers to about 2 million," says Trump's campaign manager Corey Lewandowski. The network releases a statement saying that Trump is still welcome at the debate, but it "won't give in to terrorizations toward any of our employees." Wednesday, January 27: It's not "good for America"
Trump tapes an interview with O'Reilly in which the Fox host urges Trump to reconsider saying "I don't think not showing up for debate tomorrow is good for America." Trump doesn't waver, instead promoting his event and knocking Kelly again saying, "I have zero respect for Megyn Kelly... I don't think she is very good at what she does. I think she is highly overrated."